At Whitworth Animal Clinic, Dr. Charles Whitworth offers quality veterinary ophthalmology services which include detection and treatment of some eye conditions. Your pet’s eyes are a delicate, important part of their body. Taking care of them requires regular examination, accurate diagnostic testing and targeted treatment. Some eye conditions occur suddenly while others worsen over time. Having Dr. Whitworth examine your animal’s eyes can be important in keeping their eyes healthy. While he treats some eye conditions, he often refers his pet patients to an veterinary ophthalmology specialist. Dr. Whitworth begins by examining your pet’s eyes with an ophthalmoscope. This tool allows for a detailed look into the internal structures. In addition to checking for abnormal growths and injuries, it provides valuable information about how well the eye is functioning. Depending on the symptoms your pet is experiencing, additional diagnostic testing will be performed. Your pet is usually awake during these procedures. If needed, a topical anesthetic can be applied to lessen irritation. Such tests include infusing fluorescein dye to look for abrasions, using special paper strips to check moisture levels, and measuring the pressure inside the eye with a Tonopen. Keratoconjunctivitis Sicca: also referred to as dry eye is characterized by a sticky mucus discharge. As the name implies, the eye becomes excessively dry due to a lack of tear production. It is caused by an inflammatory response, which may have been triggered by medications or damage to the tear glands. If not treated, it can result in corneal ulceration. Glaucoma: a very serious disease that requires immediate treatment. Fluid builds up inside the eye, causing increased pressure. In dogs, it is a hereditary condition. 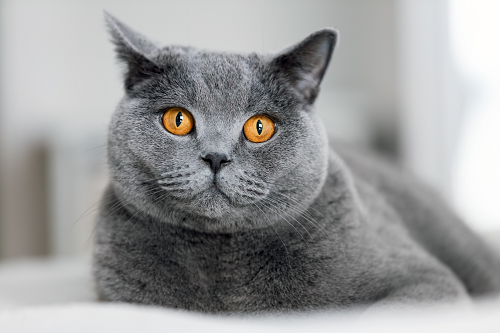 Trauma, cancer, and underlying disease are typical causes in cats. It is very painful and can result in blindness if not treated promptly. Corneal ulcers: one of the most frequently diagnosed eye afflictions. An injury to the surface of the eye, it can be caused by many different things. In addition to trauma, it is seen in pets that have a history of keratoconjunctivitis sicca and those whose eyelashes rub the cornea. Treatment may be as simple as applying an ophthalmic ointment or may require surgery to correct the defect. Cataracts: The word cataract literally means ‘to break down.’ This breakdown refers to the disruption of the normal arrangement of the lens fibers or its capsule. This disruption results in the loss of transparency and the resultant reduction in vision. Cataracts often appear to have a white or crushed ice appearance and are found in the lens of the eye. At Whitworth Animal Clinic in Madison, AL, we are committed to working together with you in order to provide your pet with compassionate, effective prevention and treatment plans. Make an appointment to get to the bottom of your pat’s eye problems. If your pet has an eye disease that we cannot treat, we can refer you to an Opthalmology vet who frequently comes to the Huntsville area to see patients.